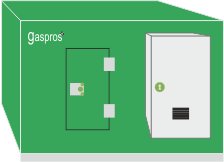 Besides LPG & natural gas, gaspros all weather, silent gas generators also work on biogas, which can be generated from organic waste using gaspros biodigesters, thus enabling end-to-end management of energy and waste in buildings. 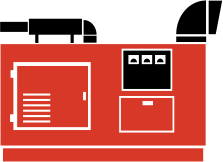 Our generators are smart and designed to work on the principle of ‘free energy first’. The system will look for biogas as the preferred first option. When biogas is exhausted, LPG kicks in.Over a period of time, operational expenditure is reduced noticeably, besides minimising waste & emissions and delivering improved quality of life. Our IoT-enabled smart gas-centric clean energy delivery system smoothly integrates all solar & wind clean energy sources with gas to build a smart hybrid decentralised, reliable scalable grid. We achieve this through a smart integration hub.nnOn the working principle of ‘free energy first’, the smart integration hub harnesses renewable sources as and when they are available. 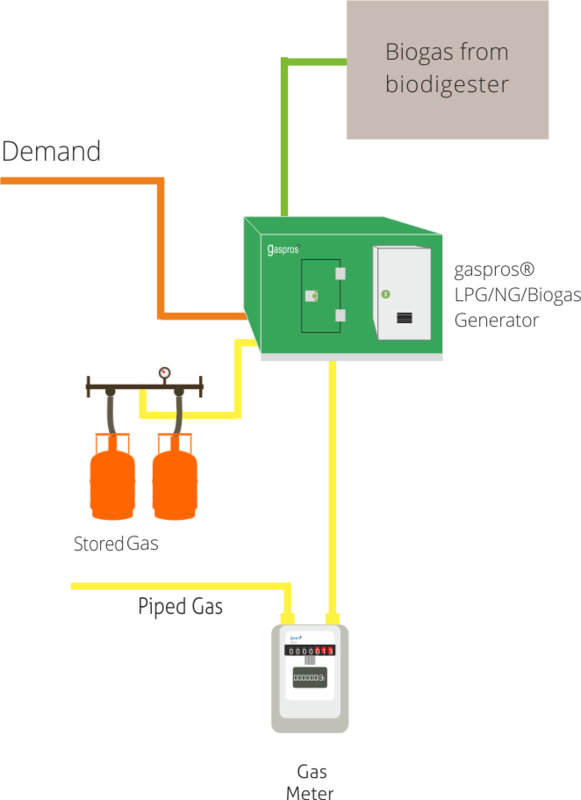 Gas serves as the backup and kicks in only when renewable resources cannot meet the demand side of energy load. In many scenarios, a smart decentralised gas-centric approach may bring down cost of energy generation to a point where the grid could play the role of a backup.